Cripple Creek Music Fest – July 15th from noon-11 p.m. featuring Joe Nichols, Molly Hatchett, Christopher Shayne as well as local favorites. Free music! Also, beer, food, fun, dancing, and street party. The Butte Theater All summer long, Cripple Creek – There are a variety of shows running this summer including a ragtime revue, musical, and melodrama. You can order tickets online to be assured of the best seating or just drop in. You’ll be sure to have a good time! 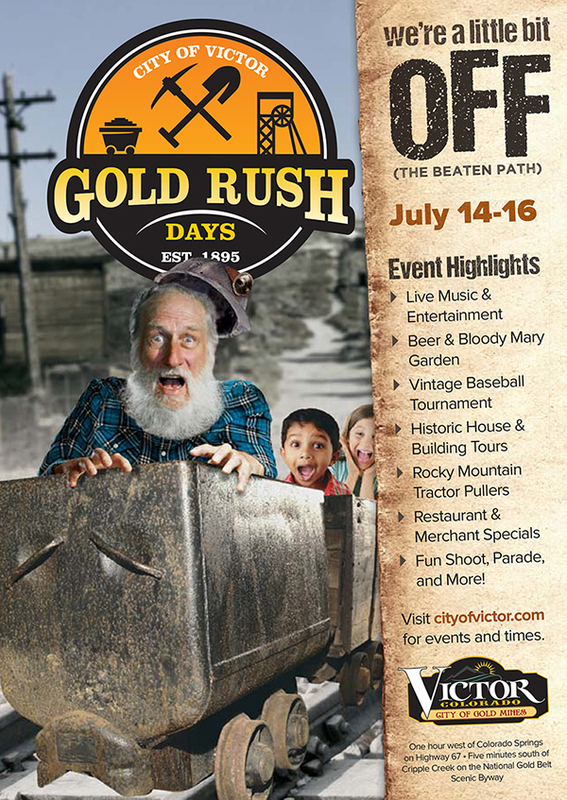 Gold Mine Tours All summer in Victor, Colorado – This is a great tour and you’ll learn a lot about above ground mining. You’ll need to make reservations, which is available on our link. The Florissant Grange Every Thursday night in Florissant – from 6-9. Potluck dinner and music by the Jammers. Thursdays are great nights for fun, food, fellowship, dancing, and music. Come and bring your family for a good time. If you play an instrument, you can join in, too! If you have events you’d like to add for this month or in the future, you can e-mail us at ccacehardware@hotmail.com and we’ll be happy to share them! Jessica T. Hind – You’re a winner!